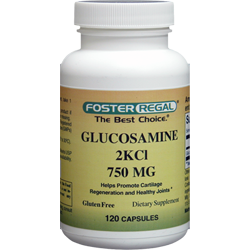 Glucosamine sulfate is a naturally occurring chemical found in the human body. It is in the fluid that is around joints. Glucosamine is also found in other places in nature. For example, the glucosamine sulfate that is put into dietary supplements is often harvested from the shells of shellfish. Glucosamine sulfate used in dietary supplements does not always come from natural sources. It can also be made in a laboratory. Glucosamine sulfate is commonly used for arthritis. Scientists have studied it extensively for this use. It is most often used for a type of arthritis called osteoarthritis. This is the most common type of arthritis. Contains crusteancean shellfish (crab & shrimp) ingredients.